Why choose MyTub for glow worm domestic gas boilers? MyTub service is second to none in the UK, no other company aims to fulfill your requirements like MyTub does. We have fully trained and experienced staff ready to take your order, find the nearest branch with the goods ready on the shelf to deliver to your address and ensure you get your order delivered to you as quick as humanly possible. We keep you informed of the progress of your order, good or bad news. Our experienced team offer pre sales service to answer any questions you have relating to the products by liaising with the manufactures. All our glow worm domestic gas boilers products are genuine branded goods. If the item is in existence and on a UK shelf we will source it for you, in some cases when the part has even been obsolete for quite some years. Contract pricing and quantity discounts available on glow worm domestic gas boilers, our contracts department can also aid in specification if needed. advanced range of high efficiency condensing regular heat only boilers with inbuilt digital programmer and stainless steel ..
hxi is an advanced range of high efficiency condensing regular heat only boilers, these come with a built-in digital programmer an ..
our new innovative wireless programmable room thermostat for advanced heating and hot water control any time of the week. new high efficiencyboiler range with a choice of flexible control options. designed with hassle free installation in mind, the ultracom2 offer ..
it may be tempting to opt for a low cost spare part, but do consider the impact that this may have. counterfeit parts are typically substandard, manufactured fro ..
new wireless weather compensation sensor using inbuilt pv cells. 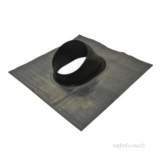 The glow-worm flat roof pipe flashing kit 2000460478 is designed to keep water from getting down your vent pipe made to go over a single wall pipe on a flat roof. The glow-worm pitched roof pipe flashing kit 2000460479 is designed at an angel to keep water from getting down your flue pipe made to go over a double wall pipe. the pitched roof pipe flashing is ada .. The glow-worm 500mm flue extension 2000460481 is designed to help extend the flue length. horizontal sections must have a continuous fall of at least 2.5 degrees back to the boiler. The glow-worm 1000mm flue extension 2000460482 is designed to help extend the flue length. 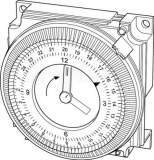 horizontal sections must have a continuous fall of at least 2.5 degrees back to the boiler. The glow-worm 2000mm flue extension 2000460483 is designed to help extend the flue length. horizontal sections must have a continuous fall of at least 2.5 degrees back to the boiler. The glow-worm 90 degree flue bend 2000460484 is designed to help extend the flue pipe to be exposed to external air yet still keep the sections at a continuous fall back to the boiler. The glow-worm 45 degree flue bend 2000460485 is designed to help extend the flue pipe to be exposed to external air yet still keep the sections at a continuous fall back to the boiler. 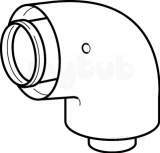 The glow-worm 5 pack flue fixing brackets 2000460486 are designed to secure the flue pipes. maximum flue lengths must not exceed 6 m.
The glow-worm adjustable sliding sleeve 2000460487 is designed to completely seal the connections between flue extensions. 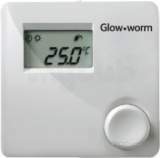 This glow-worm climastat room thermostat 20035402 gives you personalized heating comfort according to your needs enhancing the energy efficiency of your heating system. the modulating regulation built .. This glow-worm climapro1 programmable room thermostat 20035404 simply enables homeowners to simply program their specific heating and hot water requirements for each part of every day. designed with u .. 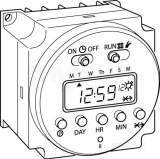 The glow-worm controls outdoor sensor 20040796 allows the outdoor temperature to be communicated back to the system, adjusting the flow temperature to the radiators to meet demands. this unit comes as .. This glow-worm options board kit 20046772 includes an options board, power harness and comms harness. when fitted into the ultracom hxi or sxi, the appliance is able to interact with standard "y& .. 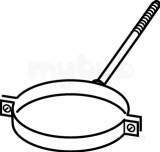 The glow-worm 80mm twin flue bracing brackets 5 pack a2012800 are designed to secure the flue pipes. maximum flue lengths must not exceed 6 m. suitable for your glow-worm boiler, this unit can fit uni .. The glow-worm vertical flue adaptor a2024600 connects to the boiler to help vertically extend the flue to be exposed to external air. suitable for your glow-worm boiler, this unit can fit universally .. The glow-worm telescopic flue extension a2036900 helps extend the flue pipes to be exposed to external air. suitable for your glow-worm boiler, this unit can fit to a vertical flue option. The glow-worm flexicom upward piping frame a2041500 should be used if the supplies come from above the boiler otherwise the pipes will have to be chased into the wall. suitable for your glow-worm flex .. The glow-worm horizontal flue kit a2043400 is a standard horizontal flue extension accessory that enables the flue to be expose to external air. suitable for your glow-worm boiler, this unit can fit p .. The glow-worm flexicom direct rear telescopic flue a2043500 is suitable foot the flexicom range of high efficiency boilers only. 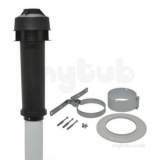 The glow-worm horizontal telescopic flue kit a2043600 is a standard horizontal flueing accessory that enables the flue to be expose to external air. suitable for your glow-worm boiler, this unit can f .. The glow-worm flue adjustable fixing support brackets 3 pack a2043900 is a standard flueing accessory that supports and enables the flue to be expose to external air. suitable for your glow-worm boile .. The glow-worm plume management kit a2044000 comes in a black finish. this kit fits onto the horizontal flue and allows the flue outlet to be raised by up to 6000mm ensuring that the flue gases are ven .. The glow-worm plume management kit a2044100 comes in a white finish. this kit fits onto the horizontal flue and allows the flue outlet to be raised by up to 6000mm ensuring that the flue gases are ven ..